More Code Changes Are Here! The Massachusetts Gas code has changed again, and enforcement has already begun across the Commonwealth! Effective immediately, Inspectors all over Massachusetts have been advised by the Board that there will be NO TRANSITION PERIOD between the existing code and the new. 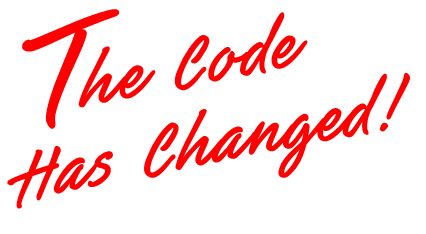 With this recent change, you're now going to need a new set of codes - that's codes, in plural, with a capital "S". Why? Because you need both the plumbing AND gas codes, and PHCC of MA is the only place you can get them as a single book! As of now, the new codes are effective and you'll have to answer to Inspectors about what's in them. You've already come to know the PHCC code book through the years. The quality binder, the divider tabs, the convenience of having the Massachusetts code AND the NFPA gas codes all in a single book. Plumbing & Gas In ONE Code Book - No need to buy one book from the state and two others from NFPA - we've assembled them together in one heavy-duty binder. A very small number of people may need two additional gas codes (more below). Markings For Massachusetts Changes – Massachusetts code changes certain sections of the NFPA gas codes, and it’s easy to get confused flipping back and forth between books. Now you’ll know exactly which regulations in the NFPA gas code(s) have been changed! We give you distinctive markings in the NFPA codes that have been changed by Massachusetts code. This feature alone is a HUGE time saver, and another PHCC Exclusive! Tabbed Dividers Make Searching Quick & Easy - Our easy-to-use tabs let you find what you need in a snap. Each divider marks a distinct section of the code so you don’t waste time digging around. And if you need to mark off another page or two that you use a lot, no sweat! You'll get a set of blank tab dividers that you can use to customize your code book any way you like. Tech Section - Not part of the regular code, this bonus section is full of tables, charts, formulas, sketches, radiator output values, hydronic flow rate formulas and a TON of other technical documents that you will use all the time. Trade Resources - This bonus section gives you direct contact information for Board officials, trade allies and other valuable resources. 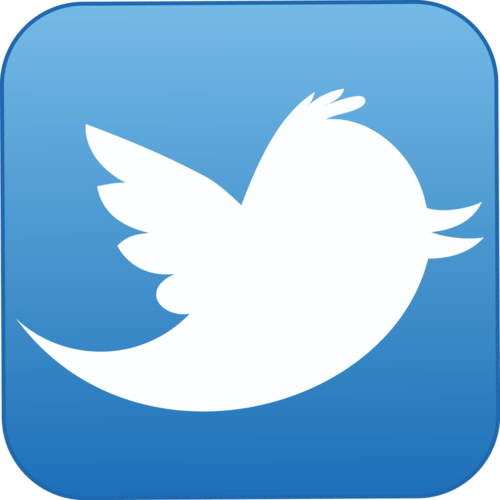 Save time with this information right at your fingertips whenever you need it. Optional Specialized Codes - For most contractors, these codes will never be referenced, which is why we didn't include it in our combined code book. This keeps the price low and eliminates bulk for over 95% of our code book buyers. If you are one of the few contractors dealing in large boilers (over 12 million BTU/hour) or with industrial-type ovens and furnaces, you will need to purchase these directly from NFPA (www.nfpa.org). 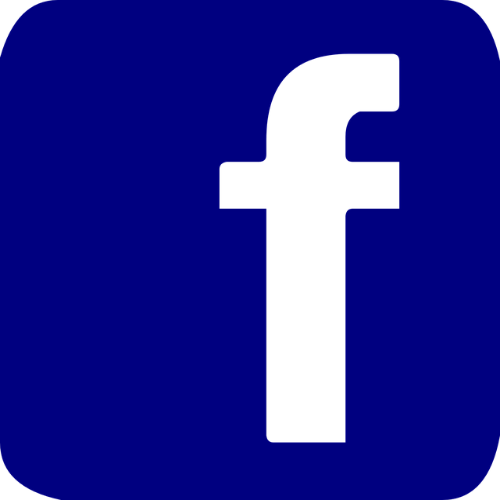 Reference NFPA-85: Boiler and Combustion Systems Hazard Code and NFPA-86: Standard for Ovens and Furnaces. The BEST Code Book Money Can Buy! We've pulled out all the stops to give you the very BEST code book you can find anywhere, at a price that's easy on the wallet. After all, we’re contractors just like YOU. We didn't hire a Harvard grad or some publishing firm to put it together; we assembled this book ourselves with extra tools to make it useful, and we did it looking through YOUR eyes. 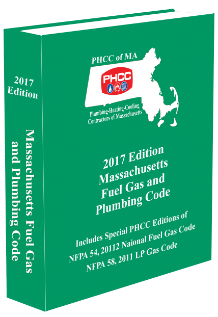 Having the required NFPA gas codes combined with our State Plumbing Code in a single binder is reason enough to buy your code book from PHCC. Why lug around three books in each truck when you can have it all in one, quality binder? But we give you much more than that . . . read on! Massachusetts code makes changes to dozens of regulations in the new NFPA codes, causing confusion among installers and frustration for Inspectors. Not anymore! Your PHCC code book comes with highlights that clearly mark any NFPA regulation that is changed, eliminated or added on. No need to go through and mark these off manually on your own, or worse yet, find out you missed one after it’s too late. These changes to the NFPA have been highlighted for you by our expert editors, who've been working with the code (and the licensing Board) for years, bringing a special knowledge to the process. This is a PHCC exclusive, and a HUGE benefit that you won't find anywhere else. Tabbed Dividers Mark Each Major Section – No More Searching! Your code book comes with pre-organized tab dividers labeled for each major section, so you can find what you need in record time. No more thumbing through endless pages trying to locate a regulation. The tabs in our new 2014 code book have been redesigned and reorganized for maximum efficiency, whether you're checking something in a cold basement late at night or doing piles of estimates in the office. You also get a set of blank tabs that you can use to customize your code book the way YOU need to. Use these heavy-duty dividing tabs to mark off any page in the book with your own titles for easy reference. You’ll find all kinds of technical data in this bonus section. In fact, there’s so much in there, you may find yourself using it more than the code book itself! And it’s an extra that you won’t find in any other code book we’ve seen. Need to calculate the heat output of a cast-iron radiator but can't find the IBR chart that outlines them? Or how about a formula that you learned in school and forgot, but need desperately on a Friday night? Need to make some hydronic flow rate calculations on a large heating system? It's all here, and you'll use this section over and over again. As I said before, we are contractors first, and anything else second. We're not out to win a Pulitzer prize with our code book. What we DO want is to provide our trade with a code book that is easy to use, easy to carry and full of relevant information that we use in our tradecraft each and every day. Your pain is our pain, and we've gone overboard with this project to create a code book that is unrivaled by anything else you can buy or assemble on your own. Are we obsessing? Maybe a little . . . but this is our TRADE we're talking about here. As PHCC members we take it very seriously , and when we create a product or service, it's all or nothing. The BEST Code Book Money Can Buy - ANYWHERE! Our code book is the staple book of the industry, and has been for a decade. It's used by contractors, Inspectors, Instructors and others because of it's simple, single-book approach and durable design. The 2017 code book builds on that legacy, with enhancements inspired by feedback from users like you. The pages are heavy, the tab dividers are strong and the thick, plastic cover is nearly indestructible, even when it’s knocked around in a service truck every day. But do you have to buy from us? Of course not! Let me explain . . . . If you buy the Massachusetts code from the State, you're not even getting HALF the books you will need. WHY? Because the Massachusetts code has adopted the NFPA gas codes, which means you'll have to purchase those books separately, in addition to the Massachusetts code. What's more, you'll be paying a BIG premium by going direct, AND you'll pay shipping costs! When you buy the PHCC of MA COMBINED code book, you get a superior product along with a TON of extras !The success of this book means everything to us, and we've gone out of our way to make it so good that you'd be CRAZY to buy your code books anywhere else. Remember, we're not a government agency, or some publishing house looking to make a killing selling books. We're contractors just like you, and our mission is to help the trade. Take 30 days to preview the new 2017 PHCC of MA Code Book. If you don’t think our combined code book is hands-down the best value for your money in a Massachusetts code book, return it for a full refund, no questions asked. We’ll even pay for the shipping! We didn't create this urgency! We've been waiting several months for some word on the new code, and that notice came suddenly and without warning less than two weeks before the effective date of the new code. So we're in the same boat as you! It's a good thing that we got most of the legwork for the new code book done over the summer . . .
As we were assembling this new code book and deciding on all the enhancements to make it better, cost was a BIG consideration. After all, we're not in the book business - we're contractors! But like any other endeavor, we have to weigh our costs with our mission to help the trade. Ultimately it comes down to you, the end user. We believe that you won't find a code book (or assembly of books) anywhere that even come close to what we've put together for you in this package. Not in quality, not usability and not even in price. That's right, PRICE! Even with all that we've put into this; the extra materials, tabbed dividers, indestructible binder cover and unbeatable guarantee, it's still affordable! Not only that, but you won't waste your time chasing down all the books you need from different sources, and then marking up the changes so you know which codes apply in Massachusetts - we've already done that work for you! You see, we've gone out of our way to make this decision easy for you - and to keep you as a loyal code book client for years to come. So that's it - my hard-sell pitch for the best code book money can buy! And I don't apologize for taking this approach, and here's why. I believe this code book sets the industry standard, just like our continuing eduction program does. It's loaded with great features, that's true. But it's done by contractors just like you, in a trade association whose mission is all about helping YOU. It's so basic, and it's something we believe in wholeheartedly. We didn't take on this project to be in the book business - we did it because we know that the market for code books in Massachusetts is fragmented at best and disfunctional at worst. It's nobody's fault - that's just the way it is, and we want to make it better. That's what inspired us to develop our first combined code book back in 2005, and that's what continues to inspire us as we roll out the new 2017 edition. We know that if you have better tools, you can work more efficiently and prosper more easily. This code book is one of the small ways PHCC of MA helps you do just that. So don't wait! Follow through now and get the best code book deal of the decade. Click on the link above to order securely on line, or use our fax order form anytime day or night.